Almost one year after the attack on Pearl Harbor, rationing for WWII prompted a young Elmwood couple, O.L. Balch and his wife of 1934 Lansford, to fill a container with an extra gallon of gasoline. 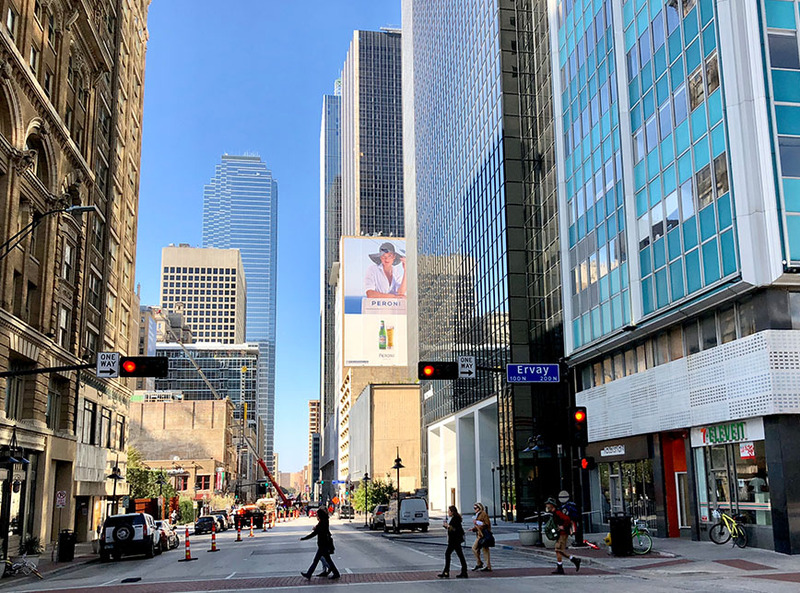 As they were leaving downtown, their vehicle hit a traffic button at the corner of Elm and Ervay causing the gasoline container to spill and mysteriously ignite. The couple suffered only minor injuries, but their automobile had considerable damage. According to The Dallas Morning News, "The upholstery of the car was burned; all of the windows were blown out, and he and his wife sustained minor burns." We hope the Balches recovered in time to celebrate another Christmas! 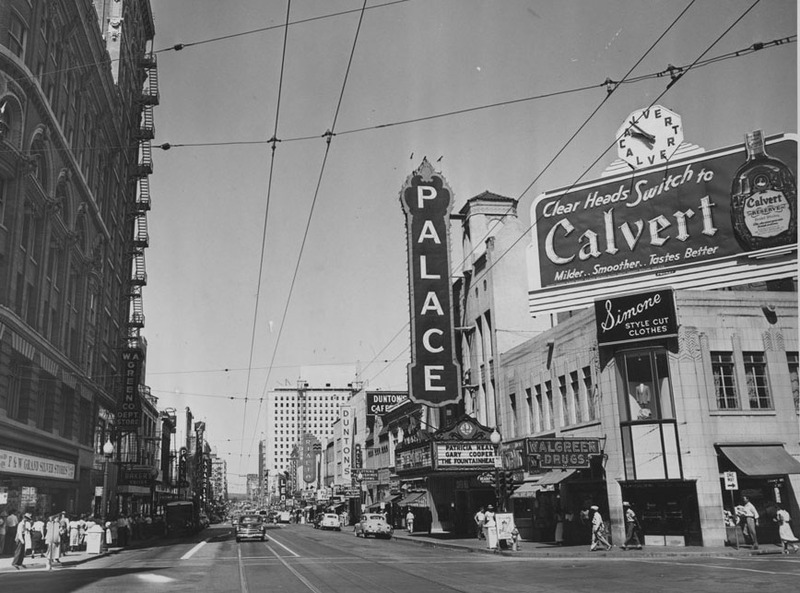 The 1940s were also an era when Elm St. was lined with movie theaters and known as Theatre Row, so one can imagine most of the witnesses were moviegoers in line to see Casablanca or Bambi. This photograph of Elm and Ervay shows what Mr. and Mrs. Balch would've seen that evening on the way home before avoiding serious injury. Use the slider to compare the 1940s photo with present day.